After Friday night’s two-hour premiere of Marvel’s Inhumans on ABC, you can forgive us Marvel nerds for feeling a bit flinchy. 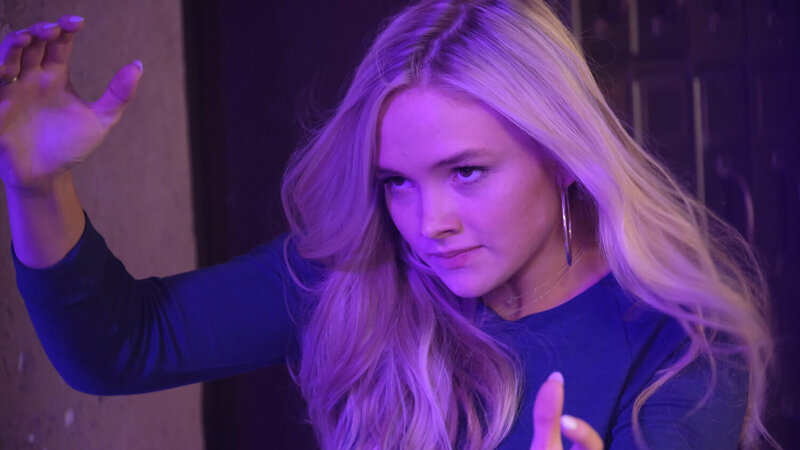 That show’s a great big slab of cheese — some of the runniest and stinkiest around — so if some of us approach the premiere of FOX’s mutant-themed series The Gifted by adopting a kind of collective defensive crouch, understand that it’s warranted. Nerds of the world, I’m here to tell you: You can unclench. There’s a scene in a dive bar near the midpoint of the pilot episode, which premieres Monday night. It’s a meeting between two characters who don’t trust one another, for very good reasons. That scene is when you’ll know that the people behind The Gifted know exactly what they’re doing — that they’ve mapped out their corner of the Marvel universe, they’ve found the tone they’re going for, and they’re careful not to push things too hard. It has nothing to do with what happens in the scene, really. Or how it’s shot, or how well the actors sell the conflict, and set the stakes. It’s the music in the background, the song that plays under the conversation between Stephen Moyer’s Reed and Sean Teale’s Marcos. Marvel’s mutant universe doesn’t have an official theme song, of course. But if it did, it’d be that one. That chorus distills the narrative drive of every mutant who’s ever adopted a hokey codename since Stan Lee and Jack Kirby first unleashed The X-Men #1 on an unsuspecting world in 1963: Always wanting to fit in, to do good, to help, only to be persecuted, feared and hunted. It’s more than a nice touch; it’s emblematic. The Gifted’s pilot is filled with moments like that one — scenes that, if played bigger or more earnestly, would oversalt the stew. Dialogue that shouldn’t work, does, because actors like Teale and Emma Dane (as Lorna) know that they can keep their feet off the accelerator, and let a sardonic smirk do the work instead. The premise is simple, but no less grabby: A man who prosecutes mutants for a living (Moyer) discovers that his own son and daughter (Percy Hynes White and Natalie Alyn Lind, respectively) are mutants. He and his wife (the great and good Amy Acker) go on the run, joining up with an underground network of mutants led by Teale. There’s still work to be done, here. Acker is just too good and smart and funny an actor to stay relegated to the Worried-Mom role she assumes in this episode. And the show’s decision to add still yet another Surly Teen (White’s Andy) to a television landscape already clotted with them is a bit of a head-scratcher, but Lind’s compassionate performance as his sister will hopefully work to modulate the moping.